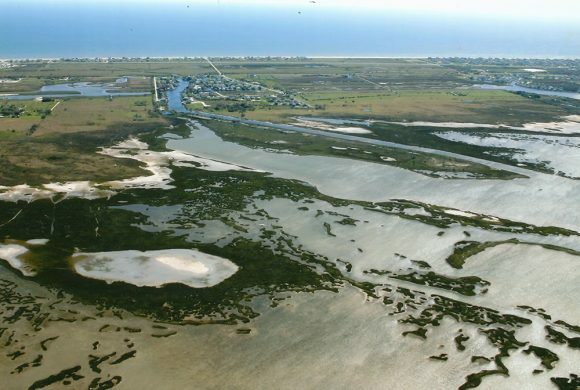 The Artist Boat Coastal Heritage Preserve currently encompasses a 605 acre conservation area on West Galveston Island with the goal of preserving and restoring 1,400 contiguous acres from beach to bay. It is adjacent to West Bay, part of the Galveston Bay system – an estuary of national significance. 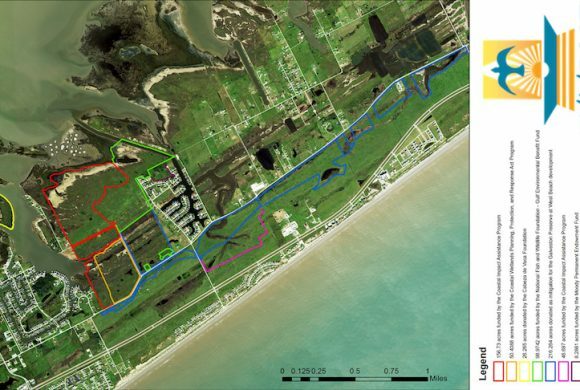 The conservation area is one of the largest unfragmented, single-owner, undeveloped properties of its kind on Galveston Island, approximately midway along the 32-mile length of the barrier island. 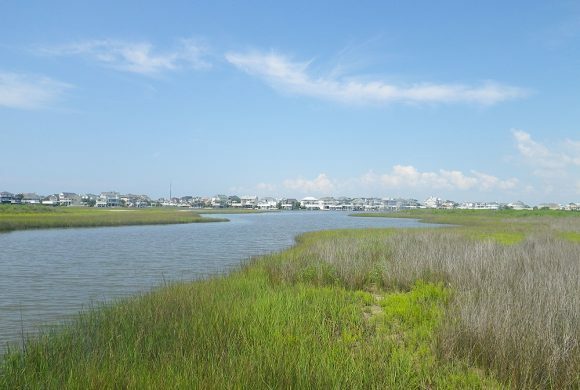 The Coastal Heritage Preserve will allow for public access to view and appreciate the barrier island habitats. 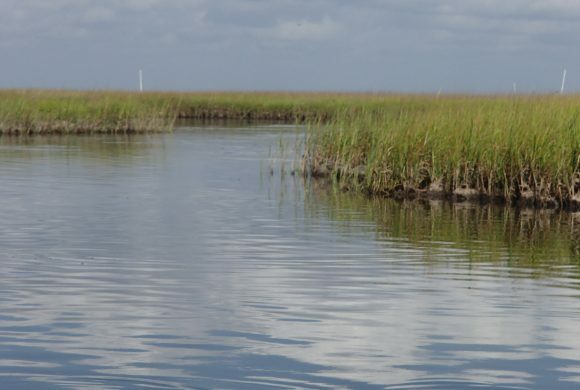 The scale of the ultimate project will serve as a regional amenity, bringing a much-needed opportunity for the public and students to connect with Galveston Bay and the barrier island ecosystems. Implementation of the Coastal Heritage Preserve Initiative is a multi-phased project. The initial phase combines protecting habitat via land acquisition, providing a launching platform for the expansion of Artist Boat programming, and planning for long-term management of the Preserve. An intermediate phase will involve habitat restoration, plus development of trails, boardwalks, viewing platforms, improved kayak access, parking, and interpretive signage. Eventually, the Preserve could provide the site for a “green” building that would be a model for coastal development and house facilities for Artist Boat and the community, including classrooms, meeting space, environmental arts gallery, laboratories, dormitories for overnight stays , and administrative offices. Artist Boat is currently recruiting passionate individuals to become a Sea Citizen Volunteer Leader and help with this restoration work. Becoming a Sea Citizen will allow you to get involved with coastal habitat restoration, learn new skills, and protect the unique and fragile Coastal Heritage Preserve. If you’re interested in developing new skills and becoming a volunteer leader, please contact the Habitat and Stewardship Program Manager. Artist Boat was awarded funding from the CITGO Caring for our Coast program to establish a long-term volunteer program that will steward the fragile and diverse ecosystems of the Coastal Heritage Preserve on west Galveston Island. Through this yearlong grant, Artist Boat hopes to restore the 600+ acre Coastal Heritage Preserve to its natural state. Restoration tasks include removing invasive species, constructing an outdoor nursery for growing and transplanting native prairie grasses, repairing the fence line around the property, building picnic tables for our volunteers, and monitoring the site to ensure proper management of resident plants and animals at the Preserve. Come to a volunteer work day and make your mark on the Coastal Heritage Preserve! From 9am-12pm on the 1st and 3rd Thursdays of the month. If you’re interested in volunteering for one of these workdays, please RSVP to the Habitat and Stewardship Program Manager. 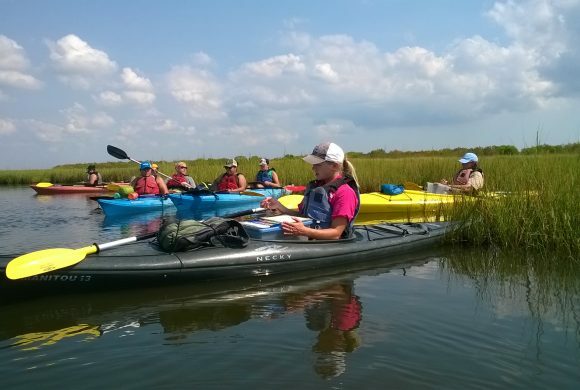 Our public and private adventures are guided and interpretive via kayak to places on Galveston Bay carefully chosen for their natural significance. All our lead guides are ACA certified kayak instructors and all are professionals with degrees in science or art.